The Ministry of Defence will take a decision on blacklisting AgustaWestland after consultations with the Law Ministry and the CBI. A contract of Rs 3,600 crore between the MoD and the Anglo-italian firm for supply of 12 helicopters to ferry VVIPs was cancelled on January 1. Defence Minister AK Antony while speaking on the sidelines of a NCC function in Delhi today, denied that the government had reached an understanding with the company on not blacklisting it. 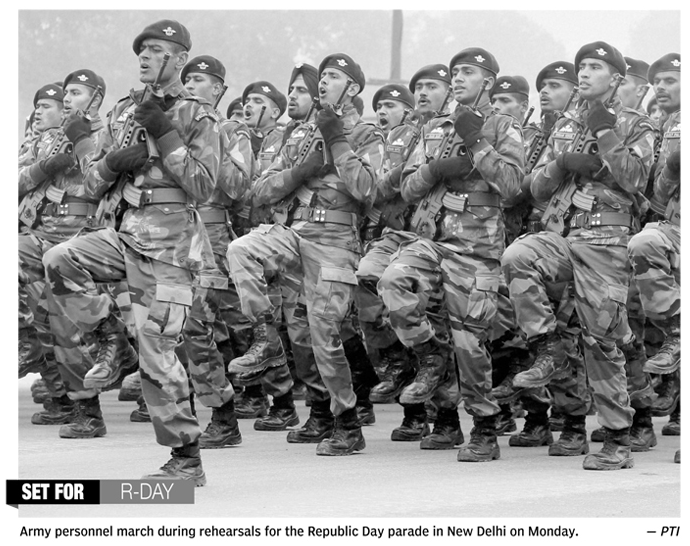 The Defence Minister said the government is focusing on encashing its bank guarantees in Italy and India. "We are examining the whole thing and we will take a decision (on blacklisting) after detailed examination and in consultation with the Law Ministry and the CBI. I don't want to take any hasty action that will cause problems to us....There is no understanding between the government and the company”, Antony said. “The bank guarantee in the Indian bank has been encashed while the MoD is trying to encash the guarantee in the Italian bank (Deutsche bank)”, Antony said, adding that the company has disputed the claims but attempts are on to fight the case. On being asked about an inquiry into violation of norms in granting a no-objection certificate (NOC) to build a hotel and yacht facility at Viper Islands in Andaman and Nicobar Islands, Antony said the investigation report was being assessed by the ministry and strict action would be taken if anyone is found guilty. Separately, Antony clarified that there was no damage to the Indian submarine that had to wait just outside the harbour in Mumbai on January 17. The submarine has to wait for four hours for favourable tide conditions before it could berth. 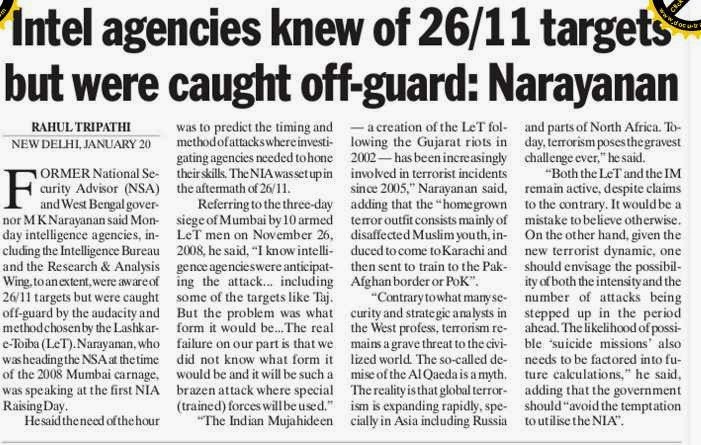 Former National Security Adviser (NASA) MK Narayanan today warned that India could be the next target of terror groups like Taliban operating in Afghanistan if they succeeded in capturing power in that country. Narayanan, now Governor of West Bengal and a former Director of the Intelligence Bureau, said it was worrying that Pakistan showed no inclination to desist from pursuing “high risk” strategies and appeared determined to support Jihadist elements as a strategic instrument to keep India off balance. The former NSA was delivering the first Radha Vinod Raju memorial lecture organised on the occasion of National Investigation Agency (NIA) Day. 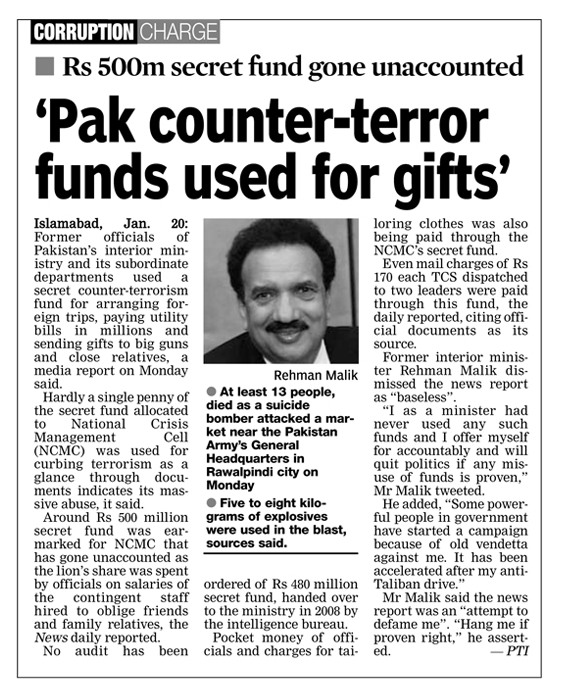 The late RV Raju was the first Director General of NIA, which was set up in the aftermath of Mumbai terror attack in 2008. 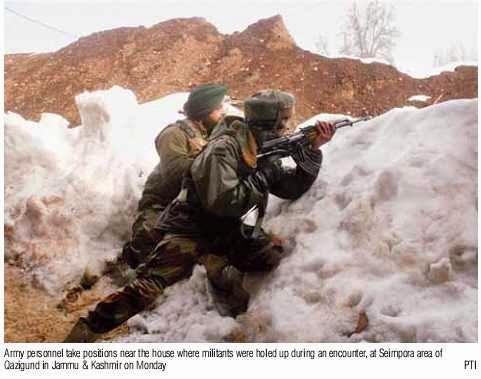 Narayanan said India’s location was such that it was an easy target to threats posed by terrorism most of which emanated from outside the borders. NEW DELHI, January 20 (RIA Novosti) – India carried out a successful test Monday of its new Agni-family nuclear-capable ballistic missile, local media reported. 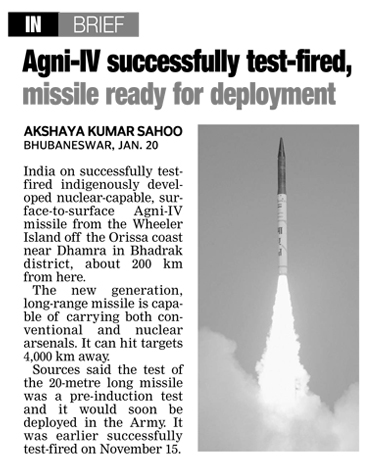 The new-generation Agni-IV missile with a range of 4,000 kilometers (some 2,500 miles), developed by India’s Defense Research and Development Organization, was launched from a road mobile launcher deployed on Wheeler Island in the Bay of Bengal off the coast of Odisha. It was the third consecutive successful launch in a series of development trials of the two-stage, solid-propellant missile capable of carrying a 1-ton nuclear warhead. 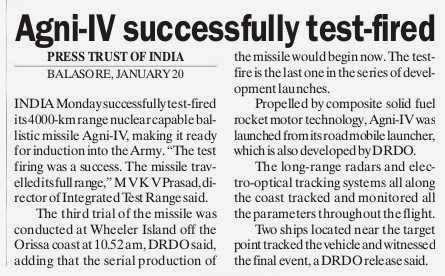 Two previous tests, in 2011 and 2012, were also a success. 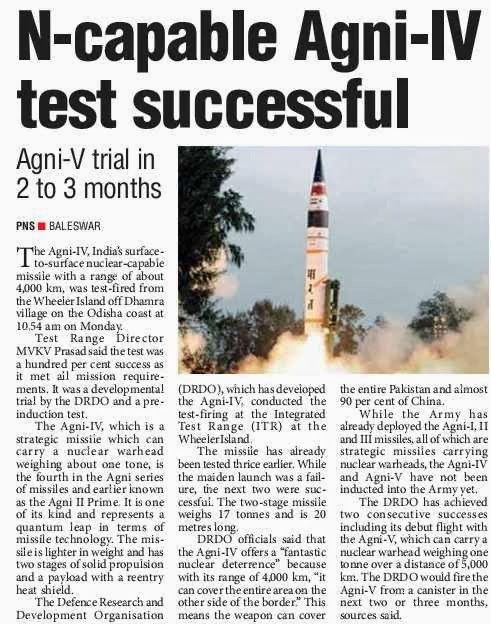 The success of the Monday test “opens a new missile ready for induction” into the Indian army, The Hindu newspaper quoted Avinash Chander, scientific advisor to the Defense Minister and DRDO director-general, as saying. The Agni-IV is part of India’s indigenous family of medium-range and intercontinental ballistic missiles. As of 2008, the Agni missile family has comprised three operational variants; two more, the Agni-IV and Agni-V, are still in testing phase. The DRDO is reportedly working on the development of the sixth missile in the Agni family, the Agni-VI, with an estimated range of up to 10,000 kilometers (6,200 miles). Islamabad: A Taliban suicide bomber killed 10 people in a crowded market near the Pakistani army headquarters on Monday, a day after the Taliban killed 20 soldiers near the largely lawless, tribal region of North Waziristan, police said. The market, a short walk from the army headquarters in Rawalpindi, near the capital, Islamabad, is in one of the most secure areas of the city, said police chief Akhtar Hayat Lalika. 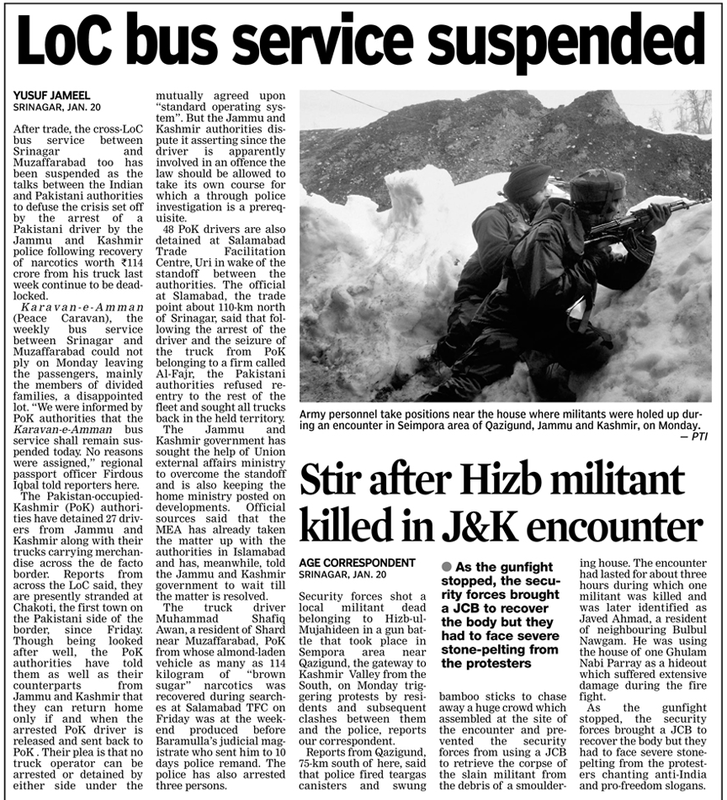 The area was cordoned off by the military immediately after the blast. Lalika said 14 people were wounded. Two college students wearing blue uniforms were killed, said a Reuters photographer on the scene. Their bodies lay near wreckage of a bicycle and pools of blood. Rescue workers struggled to help the wounded. Windows were shattered several hundred metres away. Taliban spokesman Shahidullah Shahid claimed responsibility for the blast on behalf of the Islamist insurgents. "We will continue attacks on the government and its armed forces as the government has neither announced ceasefire nor peace talks with us," he said. 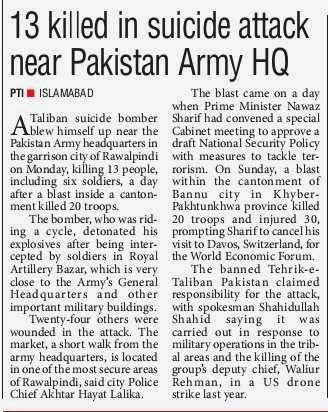 A bomb planted by the Taliban ripped through a vehicle carrying Pakistani troops on Sunday, killing 20 and prompting Prime Minister Nawaz Sharif to cancel his trip to the World Economic Forum in the Swiss resort of Davos this week. The government is keen to pursue peace talks with the Taliban to end the insurgency but there has been an upsurge in attacks since Sharif won elections in May 2013.